Happy New Year from the Koley Jessen Employment, Labor and Benefits Practice Group! As the calendar turns, many companies are looking forward to a bright future and a fresh set of opportunities to grow their business. New Year’s resolutions to break into a new market area or debut the company’s latest cutting-edge product line are exciting goals for the business expansion of any employer. In order to support these external initiatives, January is also a great time for employers to provide new guidance and directives to their work- force by updating their employee handbook. We know what you may be thinking: Didn’t we just up- date our handbook a few years ago? How much has really changed since then? Nobody really gets in trouble because of their handbook, right? Although employee handbooks are a common and recurring topic for many employers, the emphasis on keeping policies up to date is for a good reason. As demonstrated by the recent case of Marini v. Costco Whole- sale Corp., even large companies with experienced human re- source departments can be tripped up by seemingly simple handbook issues. Decided in December 2014, Marini involved a complaint of disability discrimination by a Costco employee who al-leged that he suffered harassment by coworkers and supervi- sors due to his Tourette’s syndrome. The employee was fired after Costco learned that he had been secretly tape-recording conversations with customers and coworkers in an alleged at- tempt to gather evidence against Costco regarding the harassment. Although the court granted summary judgment to Costco with respect to claims of hostile work environment, retaliation, and intentional infliction of emotional distress, the court denied summary judgment on the employee’s breach of contract claim. Costco’s employee handbook was titled “Employee Agreement.” Similar to other employers who re- quire a signed acknowledgement of the employee handbook, Costco required all employees to sign its “Employee Agreement.” The document included an anti-harassment policy prohibiting all forms of harassment. Significantly, the policy went beyond the minimum protections established by law, stating that anyone found to be in violation of the policy would be subject to discipline, “regardless of whether the violation amounts to a violation of law.” The court noted that Costco’s “Employee Agreement” did not contain any disclaimers commonly found in employee handbooks that would defeat a legally enforceable contract right based on the anti-harassment policy. Accordingly, the court found that Costco’s “super” policy provided protections above those provided by state and federal laws and allowed the employee to seek recovery for breach of contract for management’s failure to address the harassment. The Marini case is a reminder for employers in making sure that their internal policies are working for them and not against them. With that in mind, the Employment, Labor and Benefits Practice Group has prepared the following “15 for ’15,” a list of quick hits covering common mistakes and new developments in the law for employers to consider in connection with their employee handbooks. 1. New Year, New State. Expanding operations into new states is a sign of successful growth, but it also brings a host of new compliance challenges for employers. Old handbook policies that worked for previous locations may not work in new states. If a “one size fits all” handbook is not practical for your company given its many locations, consider requesting a standalone “cheat sheet” from your legal counsel that your human resources department can refer to that summarizes the various state law nuances. 2. Disclaimer Double-Check. As demonstrated by Marini, not having the appropriate disclaimer language in a hand- book can create contractual rights for employees. 3. Conscious Uncoupling. Some policies, such as an arbitration policy, are meant to be binding on employees. To ensure enforceability, those policies should be referenced in the handbook but maintained apart from the handbook and clearly indicate their binding nature. 4. EEO Update. New protected classes under federal, state, or local law, such as family status or gender identity, may affect EEO and anti-discrimination obligations for employers. 5. Medical Marijuana. In states with laws protecting marijuana for medical or recreational use, employers may need to consider updating their drug and alcohol testing policies. 6. Facebook: The Final Frontier. With the prevalence of social media use, an effective social media policy is a must for any handbook, but care should be taken to avoid “chilling” employee rights under Section 7 of the National Labor Relations Act. 7. ADA and Light-Duty Programs. Handbook provisions providing light-duty work only in the event of a work-related injury should be carefully reviewed in light of recent Supreme Court scrutiny of such programs under the Americans With Disabilities Act. 8. Benefits Breakdown. Generally, handbook policies covering employee benefits should only provide a summary of available benefits with a clear disclaimer that plan documents control. If benefits are changing due to the Affordable Care Act, major changes should be reflected in the handbook over- view. 9. Easy as One, Two, Three. Although progressive discipline policies are easy to consistently enforce, failing to provide flexibility to skip steps in the process could lead to liability if the policy is not strictly followed. 10. Why are you fired? Just cause. Be careful to avoid language in discipline or termination policies that could change an employee’s at-will employment status. 11. Check Please. Employers subject to “Ban the Box” laws addressing removal of the “checkbox” asking about criminal history on employment applications should look at their background check policies to ensure that background checks are being carried out in compliance with applicable law. 12. E-Mail Organizer. In light of new guidance from the National Labor Relations Board, restrictions on employee use of company-owned e-mail systems should be carefully reviewed. 13. You Make HOW Much? Under the National Labor Relations Act, employees have a right to discuss their pay and benefits with others. Handbook policies attempting to pro- hibit such conduct likely violate federal law. 14. One Size Fits Some. For employers with unionized workforces, it is a good idea to have separate union and non- union handbooks. If using the same handbook, it should have a clear disclaimer that it does not supersede applicable collective bargaining agreements. 15. Do This, Not That. Having a clear code of conduct serves to both set behavioral expectations for employees and provide a justification for discipline or termination decisions when those expectations are not met. With an ever-changing legal landscape, keeping an employee handbook up to date and in compliance with state and federal law is one of the simplest yet most effective ways for employers to avoid legal liability and set expectations for employees in the new year. 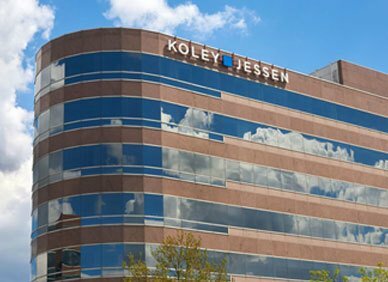 For questions or assistance in updating your employee handbook, please contact a member of Koley Jessen’s Employment, Labor and Benefits Practice Group.